These Japanese double edged blades are arguably the sharpest on the market. Made In Seiko which has an ancient history of sword making. The Samurai warriors saw this region as the finest source of sword. At Edwards traditional shaving emporium we think this means a lot and had to become stockists. Japanese steel Is the finest globally and Feather blades are of surgical level. A Feather blade will last between 8-15 shaves depending on the beard growth. 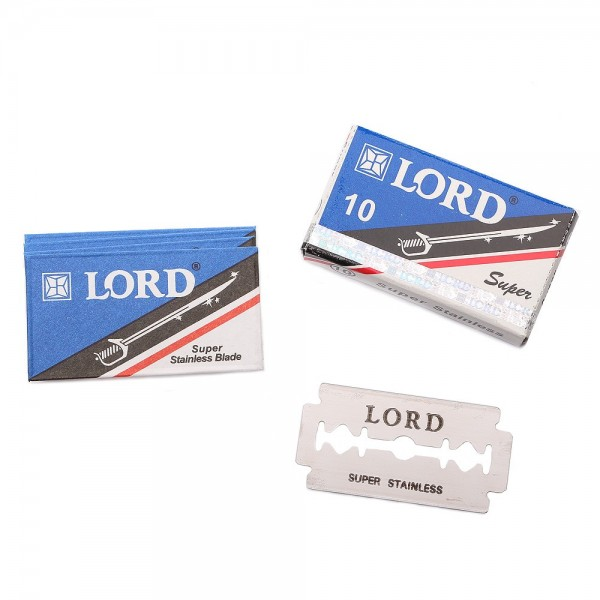 Making this ten pack last at least 2 months of every day shaving, very economical Indeed. 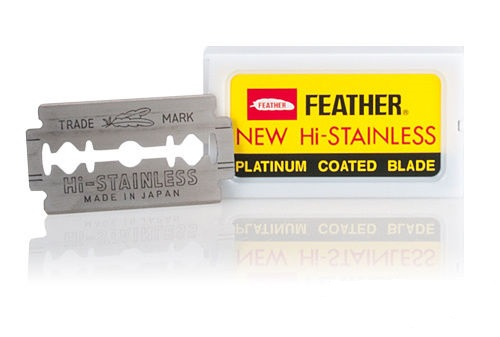 We are also lucky enough to be stockists of Feather safety razors. Which are non aggressive razors, which we as a company think are great to use. 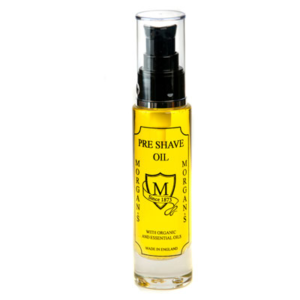 A combination of precision shaving and extremely sharp blades, makes for a winning shave. Edwards traditional shaving emporium will treat you like one of our own. We strive to taylor make an order for our customers regarding hair type and how often you shave. We have a wealth of Information on our blog about traditional shaving, ranging from ace shaving tips to most excellent product reviews. 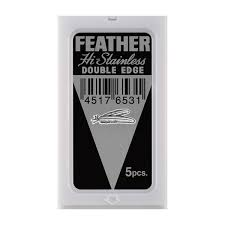 Shaving with Feather is a real joy, we stock these blades and their excellent safety razors also. For example we sell the AS-D2 a formidable stainless razor which is hand made. This Japanese companies attention to detail is incredible, when you handle the merchandise you realise how well made they are. 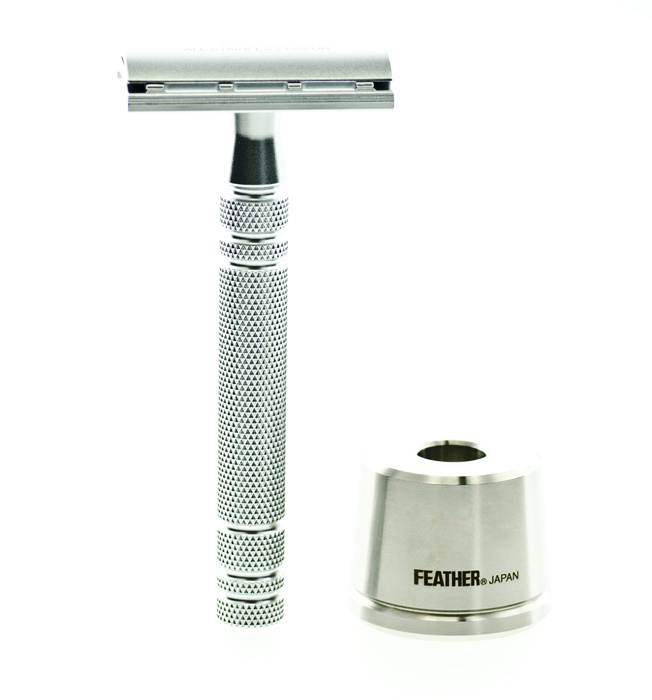 Feather generally make non aggressive razors which are somewhat of a rarity on the shaving market. Especially as some people mistake a safety razor for being harsh on the skin. We at Edward’s have the knowledge for you and will answer any questions you might have about these great razors.